They are ridiculously adorable, but you already know that. I’m so sorry that the a-hole anesthesiologist did not respect your wishes. Was your midwife there for the Cesarean birth? I know you definitely have a lot on your plate at the moment, but I would make sure to bring it up to your MW, as well as write a letter to the anesth (and if possible, her supervisor). They may think it’s no big deal but it was to you… and although you can’t change anything now for your own experience, you might get to change it for future moms. And I have to say again for the record how sweet and smooshy they are – awwww! Also, I forgot to add earlier, I wanted to address your comment “On the other hand, I knew it was a whole lot of pain for nothing.” It definitely wasn’t nothing! Labor contractions do a TON for babies, including stimulating them so they have less breathing problems after birth. So kudos to you for getting through labor – it was not for nothing! I can’t believe she didn’t drop the sheet. Really. Babies are perfect and adorable. I can’t wait to meet them and snuggle them. Wow! What a story! I’ll go over to read part two but I wanted to ask you a few questions! Also how far along were you? It’s really amazing that both your twins got such high alpgar scores! And congrat! Having twins must be amazing! Puppy pads are for training puppies. We always just took our puppies outside a lot, but I guess some people train them to pee on these absorbent pads. When your water breaks, it’s a LOT of fluid. I used midwives, but there was an OB in town who delivers breech singletons (more on that here). He wouldn’t plan a delivery with the presenting twin breech, but he would do it if things were moving so fast it didn’t look like a c-section would be necessary and a vaginal birth would happen very quickly. I got the c-section because even he said he’d feel more comfortable doing a c-section with two breech twins, and things weren’t moving quickly enough. I was 37w3d when they were born. 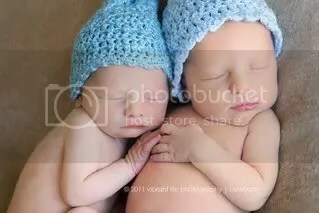 Twins are EXHAUSTING and risky and while I love them to bits, I wish they had joined our family one at a time.